Pakistan on Thursday banned two groups believed to be fronts for the group blamed for the 2008 Mumbai terror attack, amid heightened pressure on Islamabad to act against militants. Jamaat-ud-Dawa and Falah-e-Insaniat Foundation were designated "proscribed organisations", the interior ministry said in a statement, adding that Prime Minister Imran Khan had ordered officials to accelerate action against banned groups. JuD and FIF are considered by the UN to be fronts for Lashkar-e-Taiba, a group accused by Washington and New Delhi of carrying out the Mumbai attack, which killed 166 people and brought India and Pakistan to the brink of war. The latest move against JuD and FIF comes amid heightened tensions in South Asia. New Delhi has blamed Pakistan-based militants of carrying out a deadly suicide bomb attack in Kashmir that killed more than 40 Indian paramilitaries, and renewed pressure on Islamabad to take action. 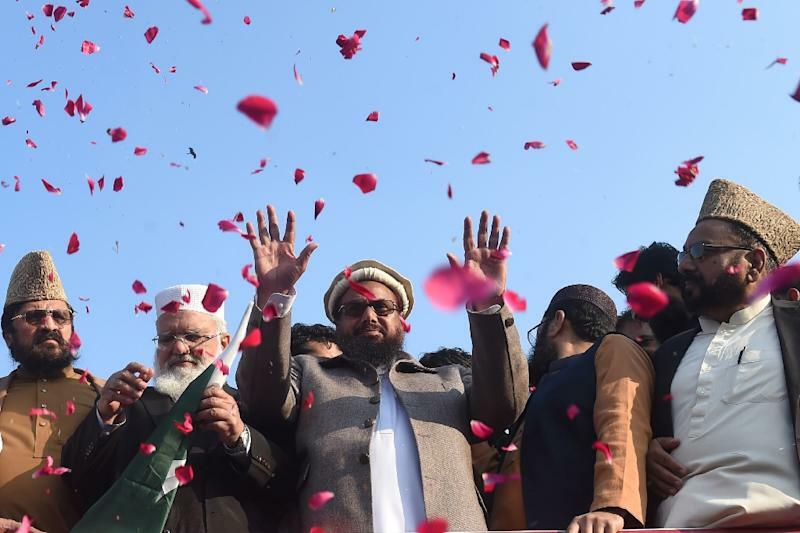 Washington and New Delhi have long urged Pakistan to take action against LeT, which was banned by Islamabad in 2002 but re-branded itself as JuD and FIF, two groups that say they are charities and deny links to militants. The US placed a $10-million bounty on JuD leader Hafiz Saeed, but despite that, he has largely operated freely in Pakistan. He has denied involvement in the Mumbai attacks. Islamabad, long under pressure to act against JuD and other militant groups, began seizing the group's assets last year after the Financial Action Task Force (FATF) -- a global anti-money laundering watchdog -- listed Pakistan on a watchlist of countries not doing enough to combat terror financing. The FATF is expected to announce its latest set of recommendations on Friday.